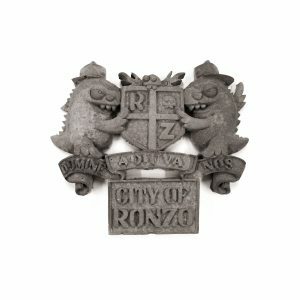 Buy Ronzo art here at the shop! 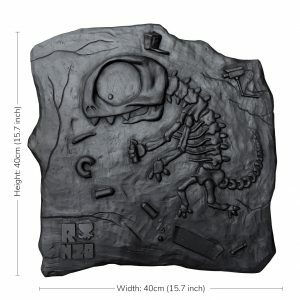 Purchase off-the-wall art, characters, paintings and street sculptures which previously could only be found in the streets. 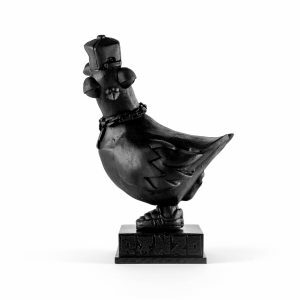 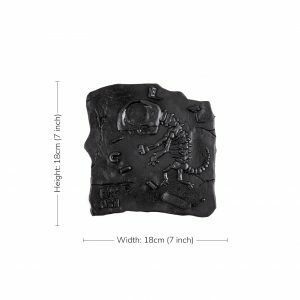 You cannot add "Skatersaurus Fossil - Matt Black (Small)" to the basket because the product is out of stock. 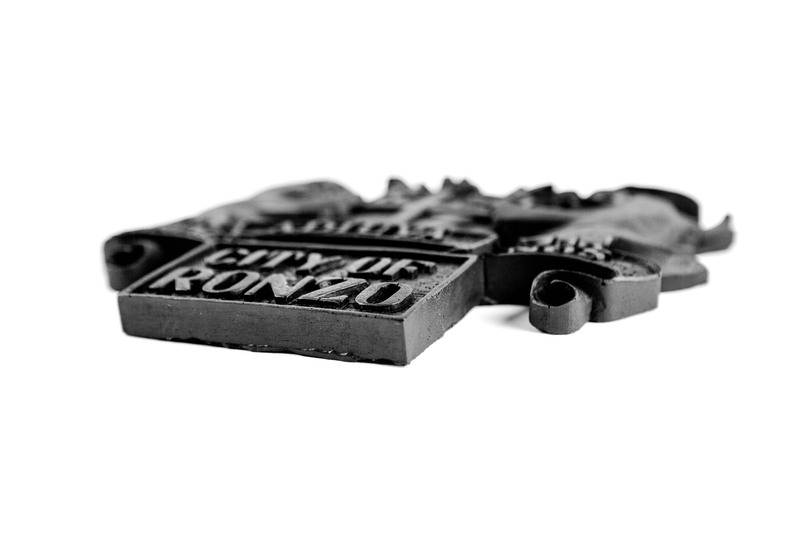 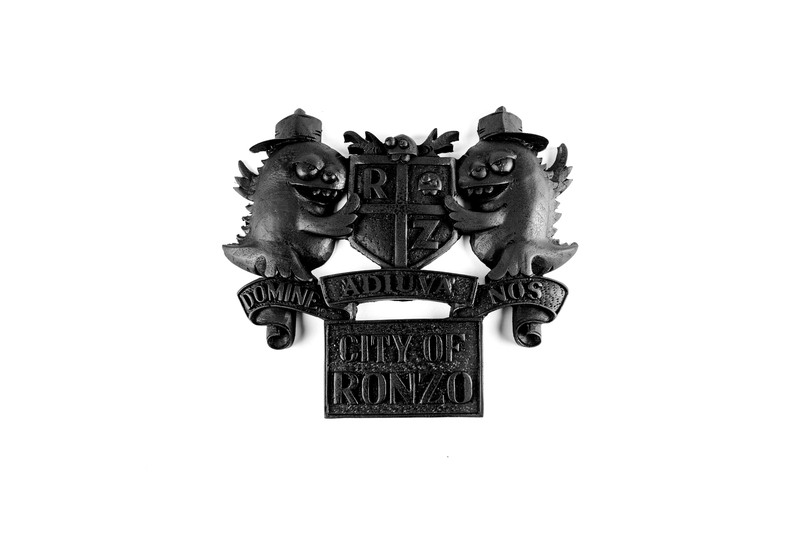 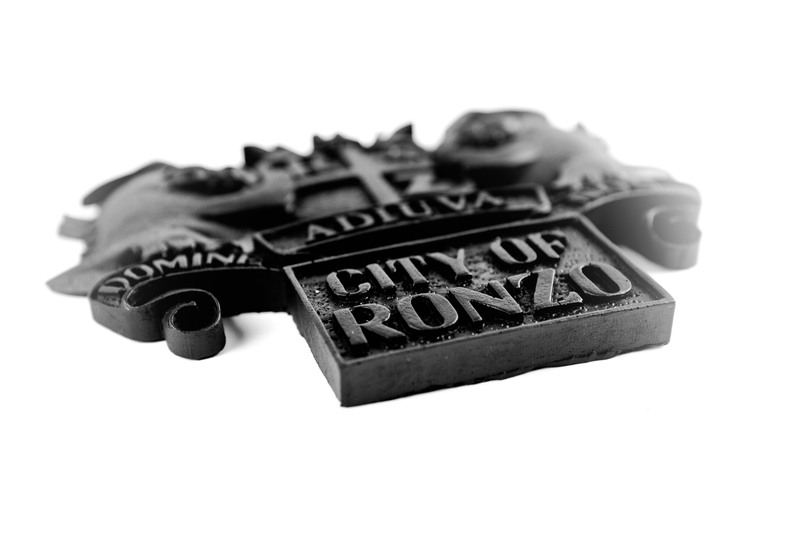 The ‘City of Ronzo’ crest is a series of limited edition, hand made reliefs, installed in urban centres around the world marking its territory. 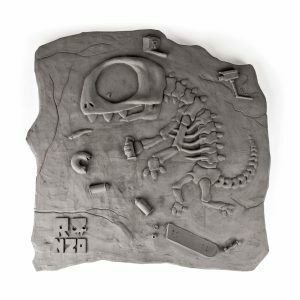 Polyurethane resin plastic and spray paint.